Winter is coming (but GOT season 8 is still not here), so we are a little sun obsessed this week. And we are always pun obsessed. But what's that got to do with twins? Well twins have always fascinated writers for their potential in humor, drama and mystery. 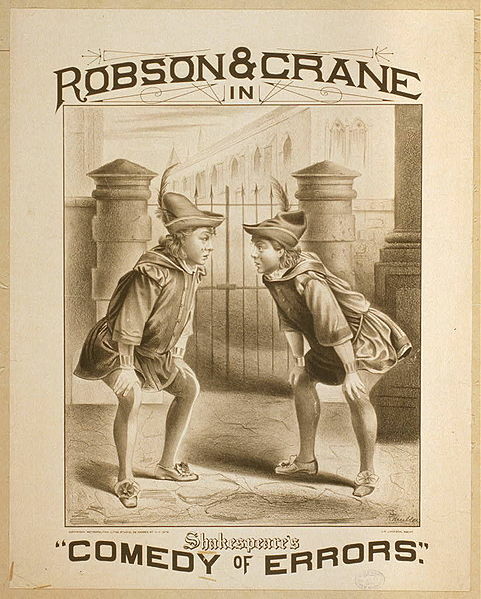 Remember The Comedy Of Errors by The Bard. Agatha Christie too probably used twins in some of her mystery plots. The plot of the short story Sign In The Sky from the collection of stories in The Mysterious Mr Quin, which I read quite recently, was centered around twins. And our very own drama queen Bollywood has made the most of twins, in movies like Judwaa. Then there is Hollywood with The Parent Trap. 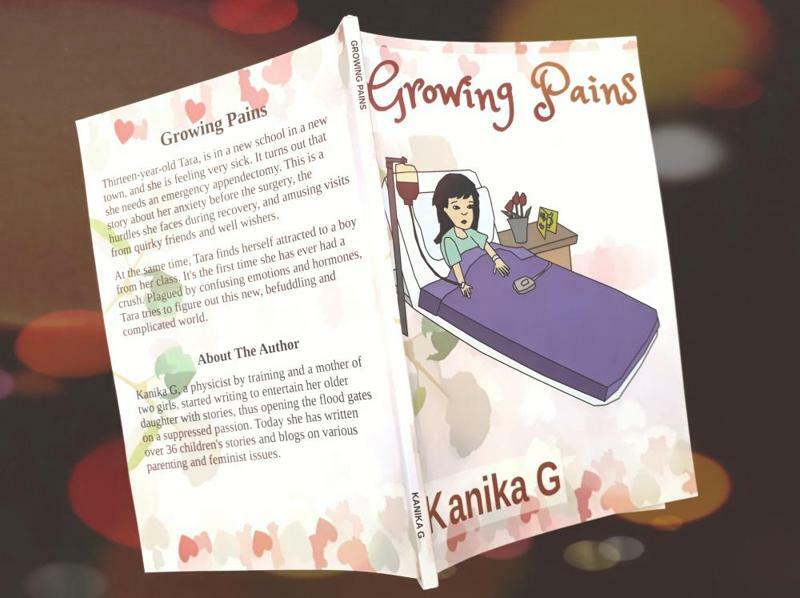 My own book Growing Pains features twins too. Twins probably make for fascinating sci-fi as well, because of the twin paradox. If you haven't heard about it you can look it up here. It's an absolutely fascinating problem in special relativity. However, today we are not talking about human twins, but stellar ones, and I don't mean celebrity twins. Hey, celebrities are human too, and didn't I say we weren't talking about human twins? So when I say stellar twins, I literally means stars that are twins, and by stars I mean those great balls of fire (no, not the song by Jerry Lee Lewis) in space constantly undergoing nuclear fusion. Did you know that our nearest star Alpha Centauri is really a triplet? In contrast our own sun is a single star. But recent research suggests that all stars are initially formed as wide binaries. That means they are twins that are widely separated, and one revolves around the other or they both revolve around a common center of mass. But with time, these wide binaries either get closer and form binary stars, or drift apart and form single stars. The recent theory also suggests that stars are born in massive stellar nurseries where all the stars are siblings. The major interest in these stars is that being siblings of our own sun these stars are also likely to support planets on which life has evolved. But what's really news worthy and led us to talk about twins is that recently scientists believe they have actually located our sun's sundered twin. HD 186302 is believed to, almost certainly, be our sun's long lost twin. In fact, according to this article, it is uncannily similar to our sun. Awww, this certainly feels like a Bollywood moment. Kleenex anyone? 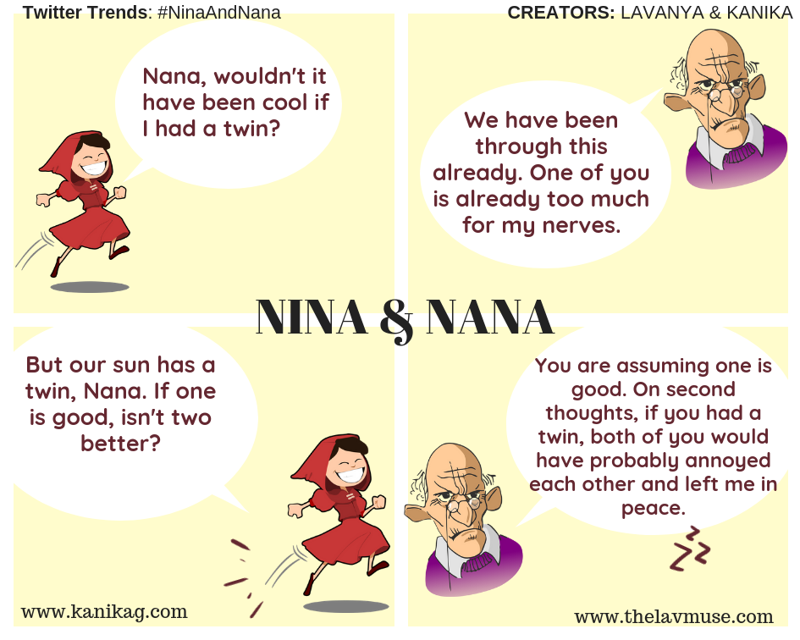 Now let's see what Nina and Nana have to say on the subject. Before we get to it, there is just one more thing I couldn't resist sharing. Sometime ago there was a theory about our sun having an evil twin named Nemesis (Of course!). You can read about it here. You can read Lavanya's take here.